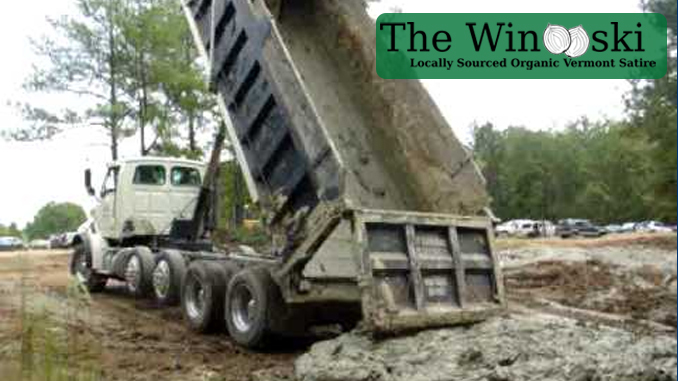 BAKERSFIELD – With mud season almost upon us and the ground showing no signs of a thaw, Vermont has had to ship in over 300 tons of mud from New York and Massachusetts in an attempt to make this year’s season as successful as the 2017 mud season. Tourists flood the state each spring to get stuck in Vermont’s famous mud and, according to the Department of Tourism and Marketing, this year will be no different. As a large dump truck poured mud onto a frozen dirt road in Bakersfield, local residents turned up to watch the fun.